With another on the books, now is the perfect time for reflection. It’s easy to be so detail-driven that we miss the greater picture of what this week means. Service Week is heavily focused on our students, families and our community partners. Where to serve is often a decision made as a family, which leads to discussions around service and learning. St. Pete Free Clinic Service Project, 2017. An operation like Service Week is a community endeavor, with many moving parts and pieces that must come together in a smooth and organized way. I think Service Week is a powerful example for how a community (in this case, a school) comes together around a common cause. The Shorecrest Maintenance team does much more than just take care of our grounds and facilities. They have the crucial job of handling bus logistics for mobilizing over 200 people around Pinellas County and the Tampa Bay region, from Tampa to Palmetto. Service Week cannot happen without their help! On the other end of planning and logistics, our Business Office helps with the immense amount of planning to prepare financially for Service Week. Whether it is billing families, making sure vendors are paid on time and properly or handling insurance requirements both nationally and internationally, our Business Office is a crucial part of Service Week. 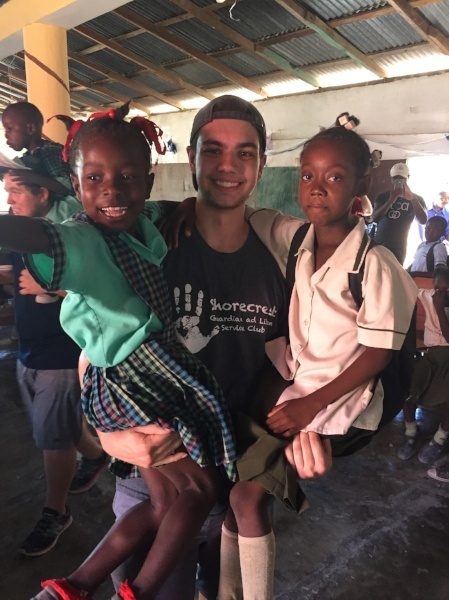 Youth Partners in Haiti Service Project 2017. Our Marketing Department helps showcase our efforts while highlighting collaboration with our community partners through effectively using social media outlets. Shorecrest faculty are smart, kind and patient and they are asked to move from four-walled classrooms to experiential learning across the globe, country and Tampa Bay. They not only push our students to work hard during Service Week, they serve alongside our students throughout the week, enabling our students to lead and experiment in real time. Service can be a powerful equalizing and bonding experience that brings our students and faculty together. Finally, I have to note something else that I believe differentiates Shorecrest from other independent schools, and that is the deep commitment that we show to service not just by our explicit programming, but the implicit messages we send by who leads programming. 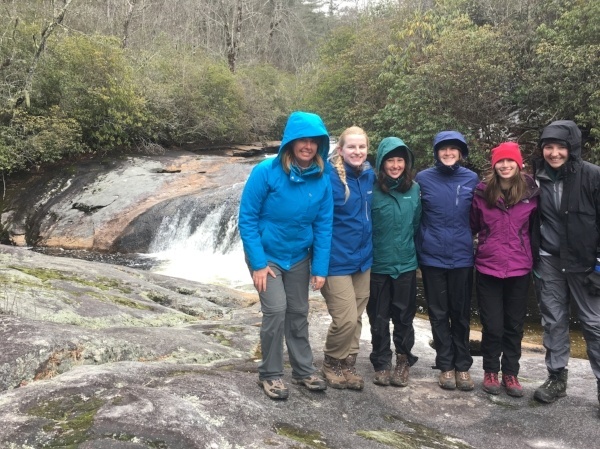 Shorecrest Service Project in Nantahala National Forest, NC 2017. Not only do our faculty lead Service Week programs, our staff and administrators are also on the front line leading programs, doing what good educators do: leading through learning. Our Headmaster has led an immersive wilderness restoration camping adventure, our Head of Upper School went to Haiti and led another group to Argentina some years ago, our Dean of Faculty led a brand new local option regarding urban gardening in partnership with a local farmer, and our Dean of Students has partnered with our Upper School Administrative Assistant to lead a program with CASA, a nonprofit dedicated to helping families and children rebuild their lives after surviving domestic violence. Our Web Manager and Communications Specialist went on her second service trip, this time in New Orleans, serving The Big Easy. Members of our College Counseling team served locally at Goodwill and across Florida helping both our students and young people in migrant communities. Through their commitment, they lead by example. 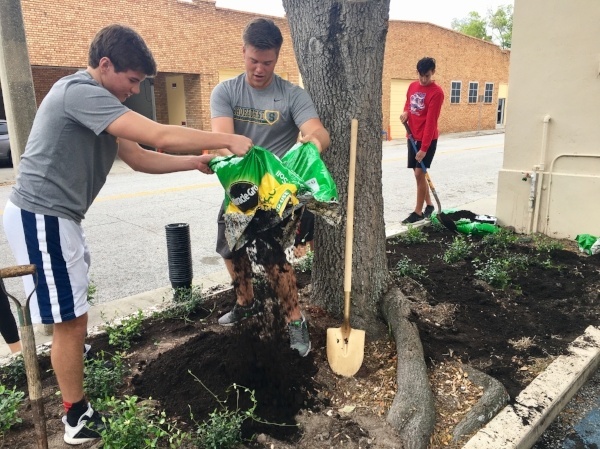 Service at Shorecrest is where compassion and responsibility meet, and by coming together, we grow stronger as a school community through helping our local, national and global communities. We talk about service and highlight our values, but even more importantly, we do service and we live our values. We communicate to the world that to be a Shorecrest student or staff member means that we come together to instill a deep sense of service and purpose not only throughout Service Week, but throughout every year that a student spends with us and that a person is employed at Shorecrest. Service is at the core of what it means to be a Shorecrest community member and we fulfill that role with humility, determination and a sense of purpose. 2017 is the eighth consecutive year that the Shorecrest Upper School has dedicated an entire week to Service Learning. In addition to Service Week, Shorecrest is home to CSLL - the Center for Service Learning Leadership - a professional development institute for independent school educators to engage with the foundation, praxis and practice of Service Learning.